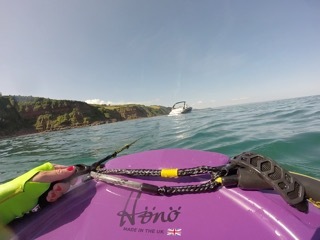 Wake Bodyboarding with the Hönö! 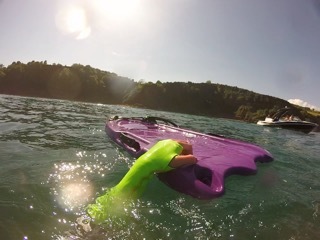 The Hönö Bodyboard is so strong and durable that you can use it for a wide variety of boarding options – including wakeboarding! We had these images sent in from a happy customer who spent a fantastic day out on the Hönö behind a boat! The Hönö handles are robust enough to withstand the weight of an adult being towed. Could it get better than this? The calm before take off.. 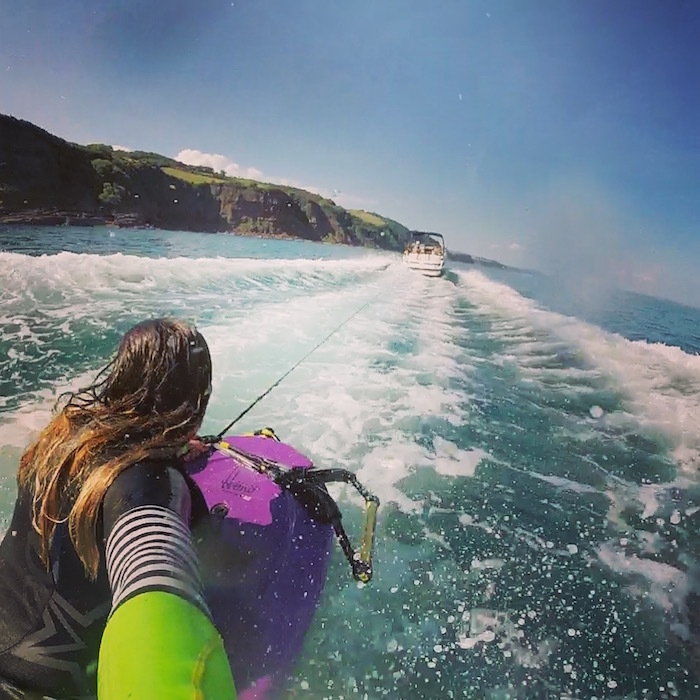 This is a great alternative boarding technique for those with access to a boat but might not have the skills to perform stand up wake boarding yet. It is a great entry-level activity for kids and adults alike who might want to wakeboard one day but need to get used to being towed in the wake of the boat first. Due to it being rotationally moulded out of tough plastic, the board with withstand bumps and high speeds (up to 20mph for this lady!) without the danger or snapping like cheap boards. 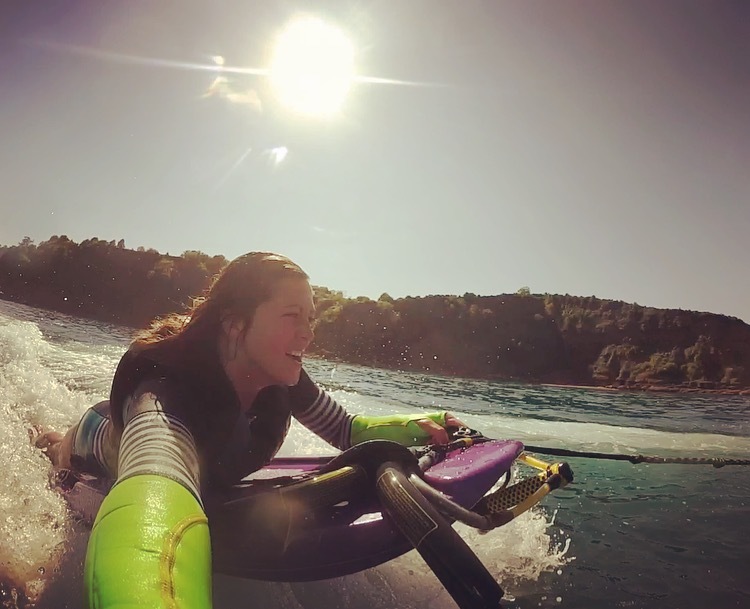 The Hönö is an eco-friendly option when it comes to boarding, as it can be used for multiple seasons (Fatyak have a warranty of 3 years on this product). To have fun in the snow, sand and sea, it is one of the most versatile fun boards on the market and worth every penny!